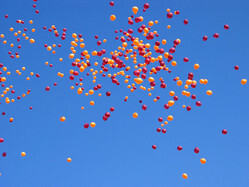 32 orange balloons released before the Yankees game. 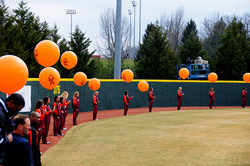 Teams line up at the opening ceremony before the balloons are released. 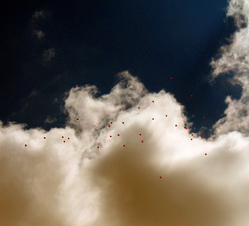 A balloon for each victim. 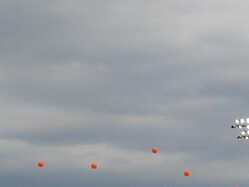 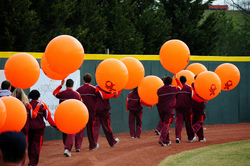 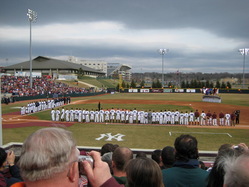 Balloons released before the Yankees vs. Hokies baseball game on March 18, 2008. 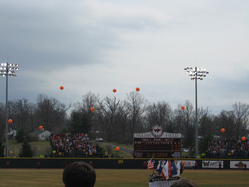 Memorial balloons released at English field before the game on on March 18, 2008. 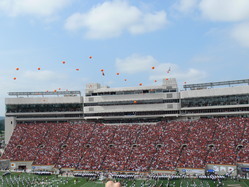 Orange and maroon memorial balloons released before the game. 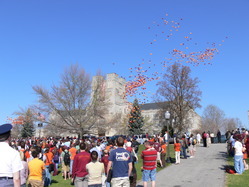 Prior to the 2007 Virginia Tech football season opener, 32 balloons are released as part of a ceremony commemorating the victims of the April 16 tragedy.